The Bachelor finale was in two parts so, of course, there had to be two episodes of the Almost Famous podcast to cover it all. Episode 10 (season 4) was maybe the juiciest, dirtiest podcast so far. 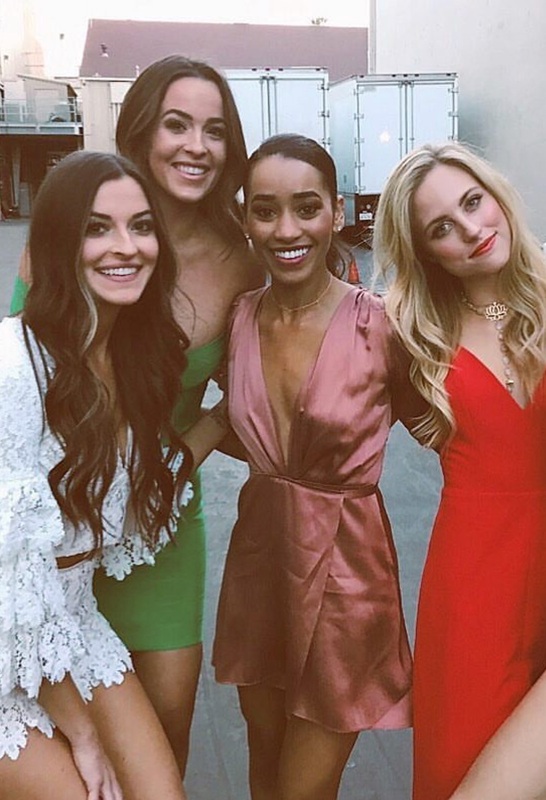 Kendall, Tia, Seinne, and Caroline of Arie’s season came in to spill some boiling hot tea. Tia was there when Arie first reached out to Lauren while still being engaged to Becca. They have some strong words on whether or not his relationship will last and how Arie handled the switcheroo. They also have the inside scoop as to whether or not Becca saw it coming and what Arie was telling her leading up to the breakup. In episode 11 (season 4), Ben takes the reigns for the first half of the episode. Explaining all his thoughts and feelings on Lauren and Arie’s relationship, Arie’s handling of After The Final Rose, and the second proposal of the season. I just wish them luck and point out that not every lasting love starts out easy or with all onlookers approval. With Ben off the phone, Amy and I dive into some fun listener questions about beauty and relationships. One listener is experiencing a crush on someone who is NOT her boyfriend of 5 years. What’s a girl to do? Ignore, ignore, ignore or get to know the crush better? Does this mean that her boyfriend isn’t “the one?” We have so many thoughts and want to know yours too!